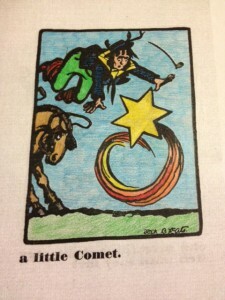 Sharpen your pencils & crayons! 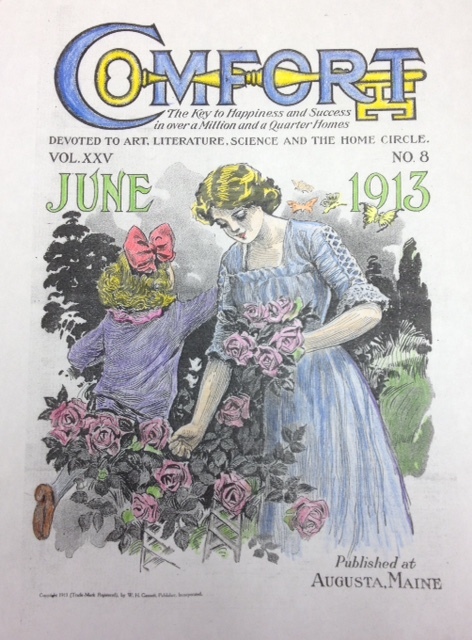 It’s time for #ColorOurCollections! 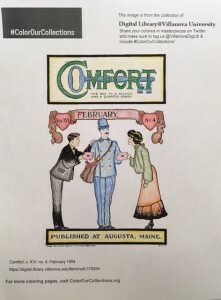 This week marks the return of #ColorOurCollections, a social media campaign that presents coloring pages adapted from the collections of cultural heritage institutions. 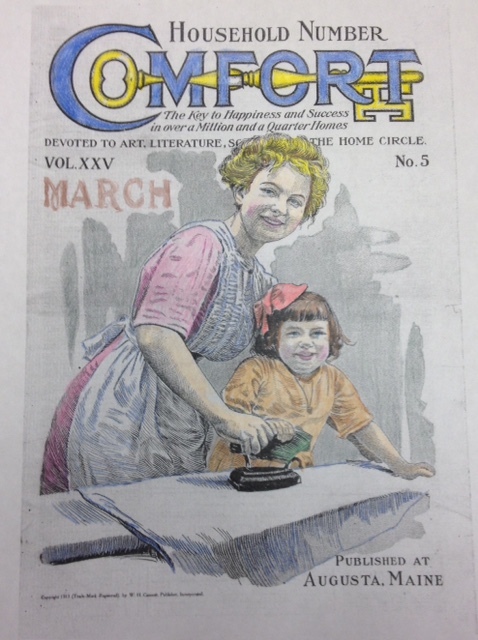 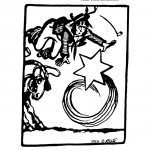 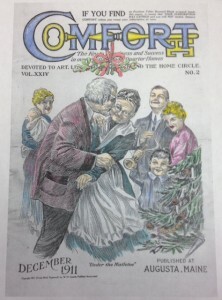 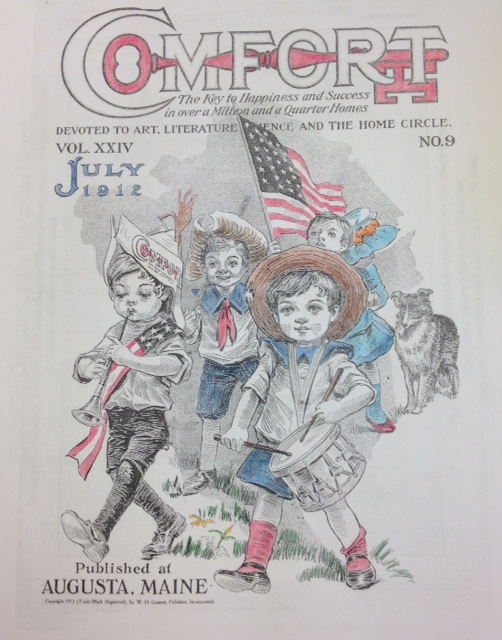 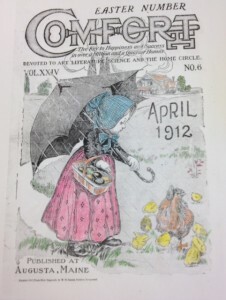 For today, you can find remastered copies of last year’s coloring books in the Digital Library. 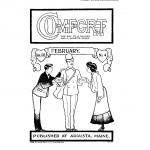 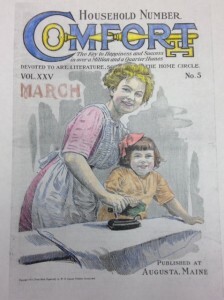 These coloring books feature the work of Jack B. Yeats, a selection of fantastic beasts, and a selection of covers from the magazine Comfort. 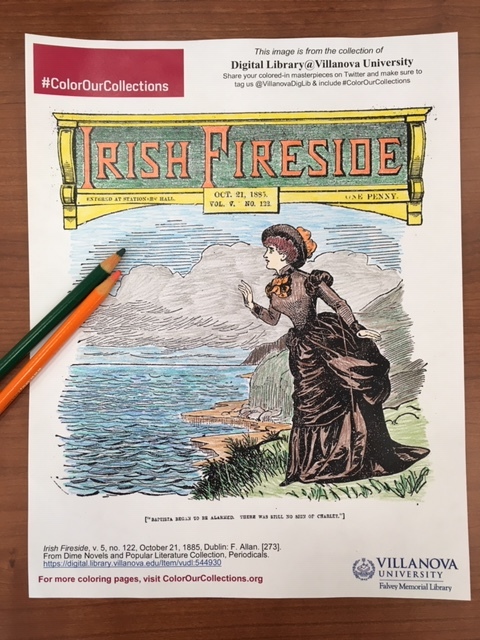 If you color any of our images, be sure to share your masterpieces on social media using the hashtag #ColorOurCollections and tag us so we don’t miss it! 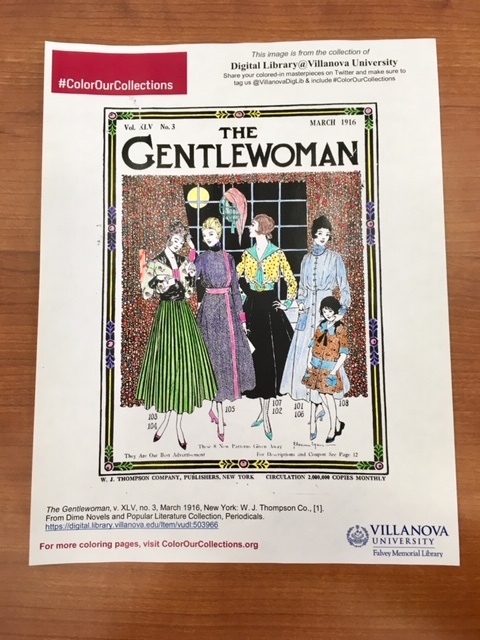 You can find our social media profiles in the “About the Collections” section at the bottom left of the Digital Library home page. 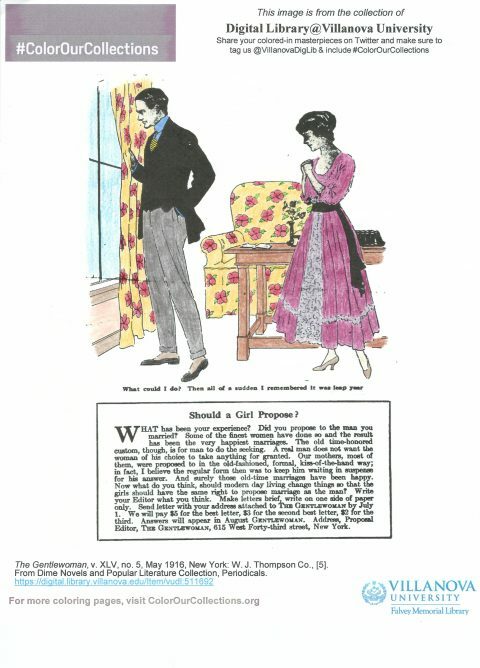 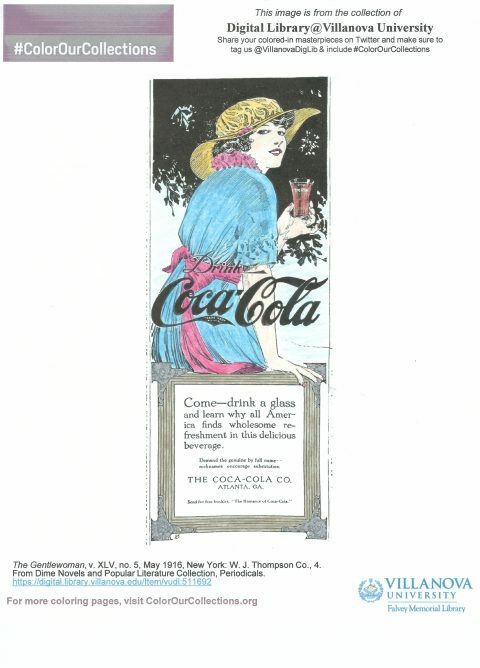 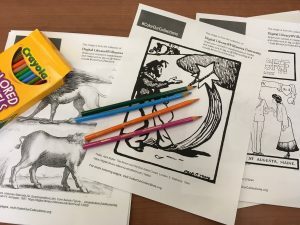 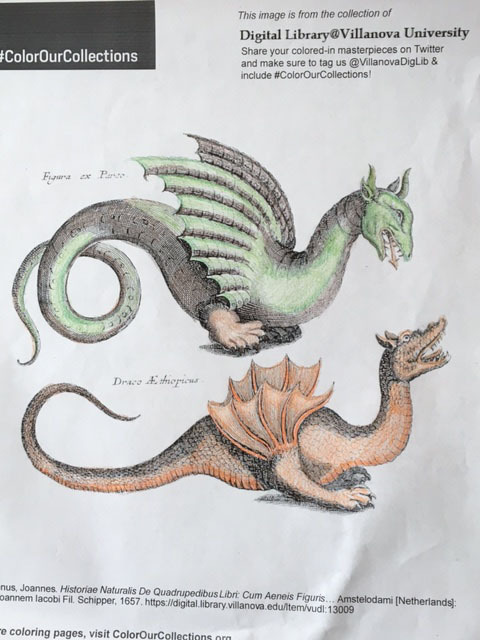 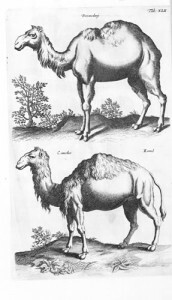 Follow the hashtag across social media or check out the website hub at colorourcollections.org to find more coloring pages from cultural heritage institutions around the world! 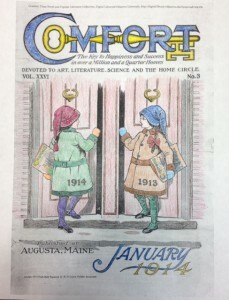 Thank you to the New York Academy of Medicine for organizing another year of #ColorOurCollections! During the first week of February, we participated in the #ColorOurCollections social media campaign, providing black-and-white images from our collections for coloring. 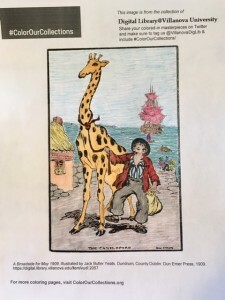 I finally had a moment to put together this gallery of our finished coloring pages. Thanks to our artists: Laura H., Sue O., and yours truly! 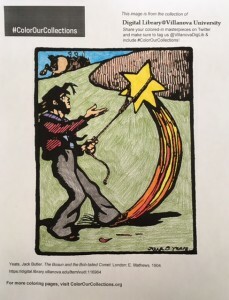 If you’d like to to do some coloring yourself, we have three coloring books available here as downloadable PDFs. 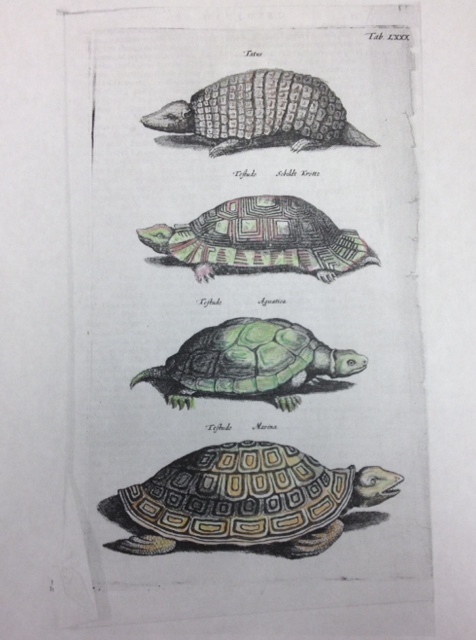 Although today is the last *official* day of #ColorOurCollections, we’ll wait until next week to post our round-up. 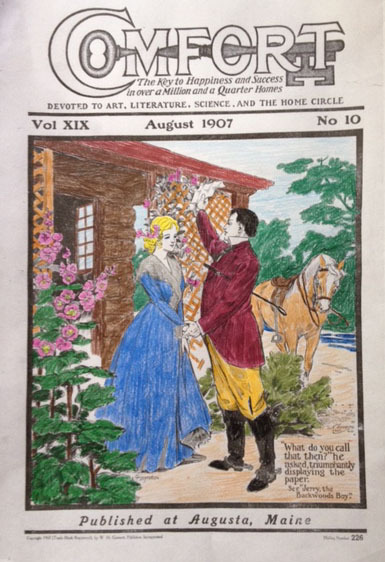 You can do some coloring over the weekend if you’ve been too busy during the week! 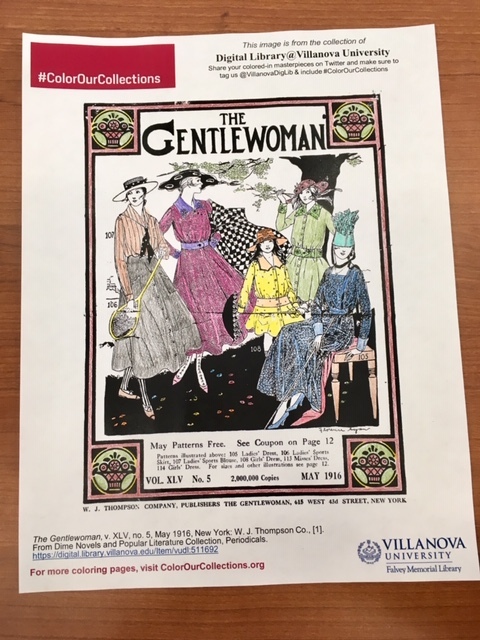 Remember to tweet us a photo of your masterpiece(s) including @VillanovaDigLib and #ColorOurCollections in your tweet text. 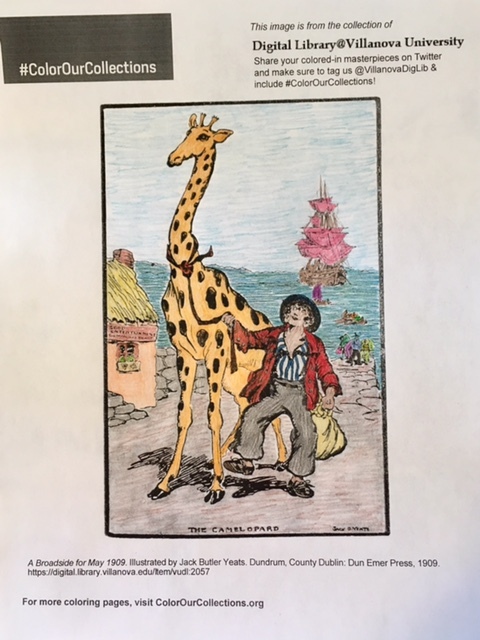 And don’t forget to check out the hashtag #ColorOurCollections on Twitter to see all the great artwork that people have done! This week we’re celebrating some of the cool stuff in our collections by creating coloring books for you to enjoy! 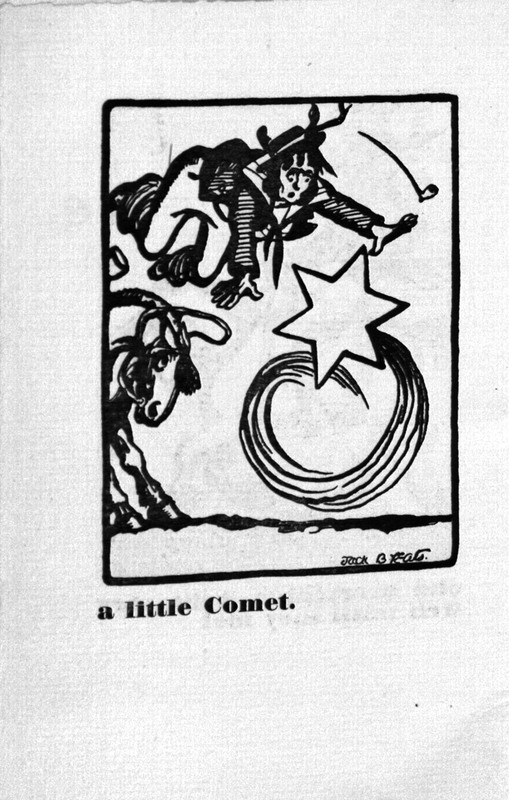 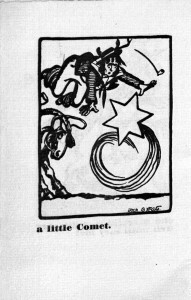 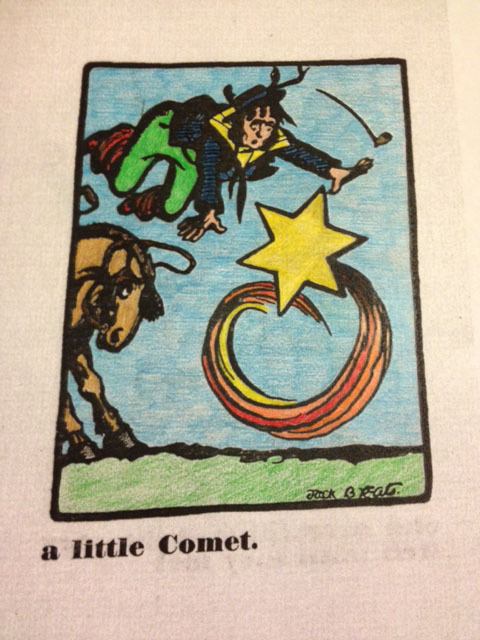 For today, we’ve got a coloring book version of Jack B. Yeats’s The Bosun And The Bob-Tailed Comet (1905). We’d love to see what you color, so tweet an image of your masterpiece and include @VillanovaDigLib and #ColorOurCollections in your tweet text. 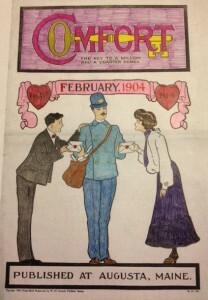 Stay tuned for more coloring opportunities later this week! 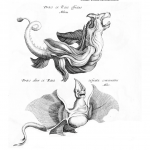 The New York Academy of Medicine (NYAM) and the Biodiversity Heritage Library came up with the (brilliant!) 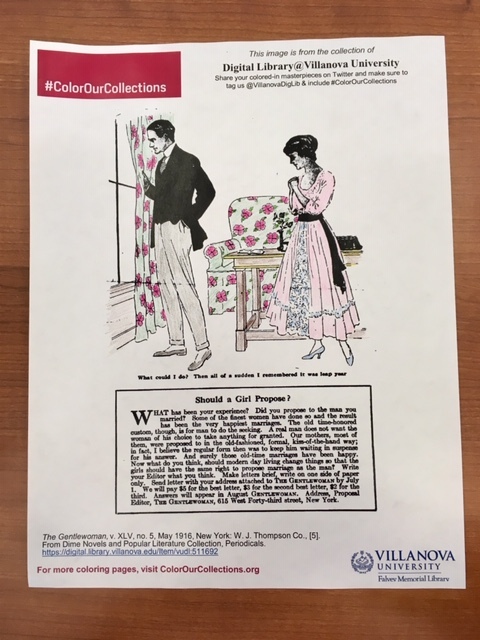 idea for #ColorOurCollections and you can find lots of cool stuff to color from Special Collections libraries around the world by browsing the hashtag on Twitter! 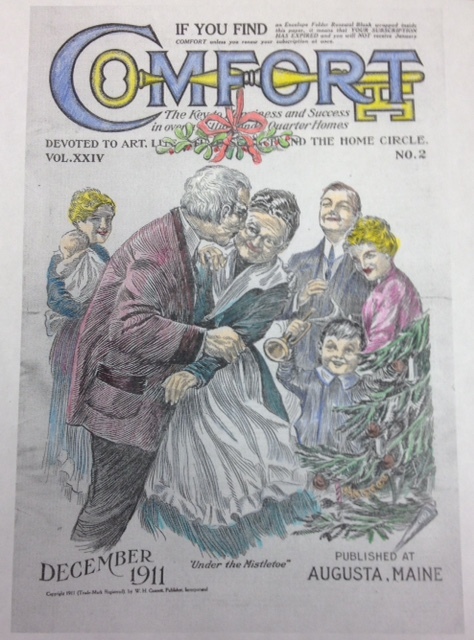 NYAM will also be featuring some of the #ColorOurCollections treasures on their blog.